Hello! It’s been a while since we’ve been together. We at TU living have been very busy with family time and planning multiple weddings. But I am excited that tomorrow is Valentine’s Day and I want to share a few last minute simple projects you can complete in as little as an hour. #1. Add a heart shaped wreath to your homes decor! I love this wonderful wooden heart shaped wreath—I’ve owned it for years and simply added some purple and yellow accents to it for quick and romantic update. Who says Valentine colors are only pink and red? #2. 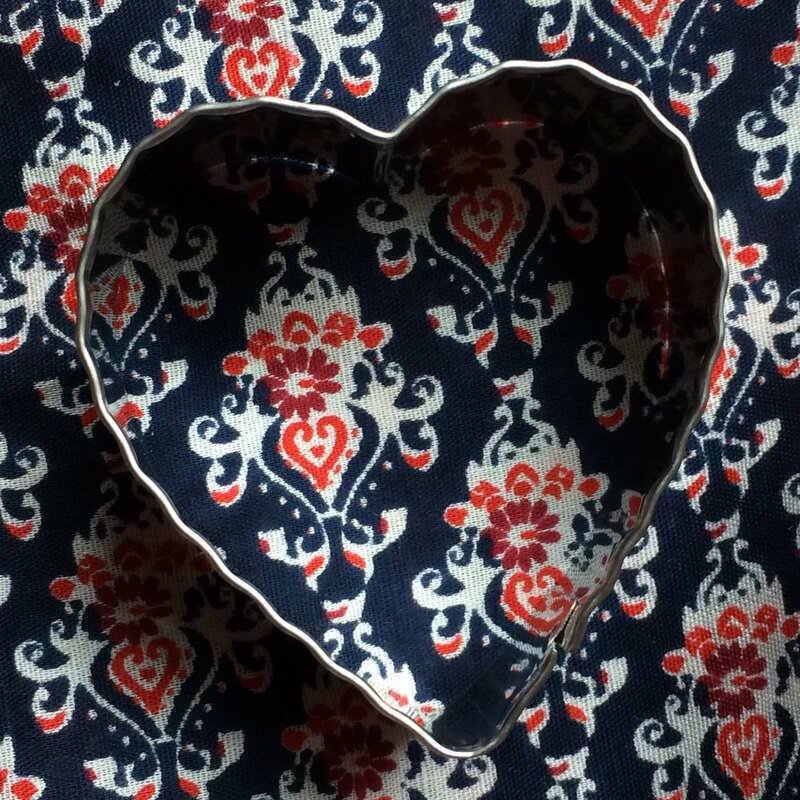 Set a cute place setting for a special dinner or dessert with your Valentine <3! This simple place setting can be created with four or five elements. I was able to purchase most of the pieces for my place setting at Walmart this week in a single visit! The napkin is a bandana from the accessories department. The red plate and glass plates are from housewares and the napkin ring is a cookie cutter from the Valentine’s Day area in the store. #3. Create your own Valentine’s Day card! Simply print out one of the files* below to make your own card. Don’t have a printer? You can send it to be printed at stores such as Staples and Kinkos. All the cards are downloaded in one PDF. If you only want to print one card, simply put only that page number in the print window. Click here to download the PDF cards to print! *Please use the cards for personal use only, as I purchased the images online and they require a commercial license to be sold. Share a photo of a piece of Valentine’s Day decor that you adore! It can be one you have created or a special purchase! Find us on Facebook (@TUliving.Kathy) or Twitter and Instagram (@TU_living) for lots of fun ideas and decorating ideas.